I am old enough to remember the orange smog sitting over Los Angeles and the haze cloaking Manhattan, but my older kids, who grew up mostly in a much cleaner North America, consider my descriptions of air pollution family folklore. Then we moved to South Asia. In Kathmandu, especially during the dry rainless winter months, the air we breathe dictates a fashion of sorts. Many people in Nepal’s capital wear multicolored dust masks. Women in saris or jeans wear them in pink and red, toddlers wear them, taxi and bus drivers wear them, police and army like them in black or camouflage. 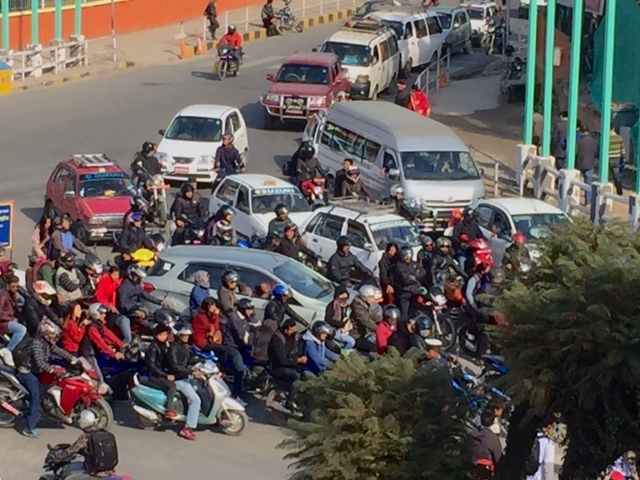 The swarms of motorcyclists that make the city a hair-raising place to drive look like Darth Vader, with masks or scarves under their helmets covering all but their eyes. 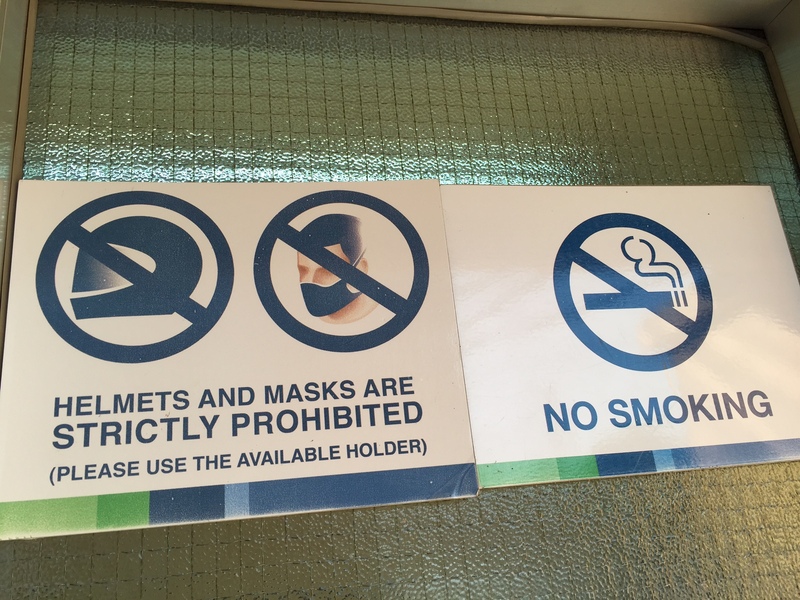 Masks are so ubiquitous that the city’s many ATMs post big signs requiring that helmets and masks be removed before entering the booth. Air pollution here is visible, touchable, intimate. 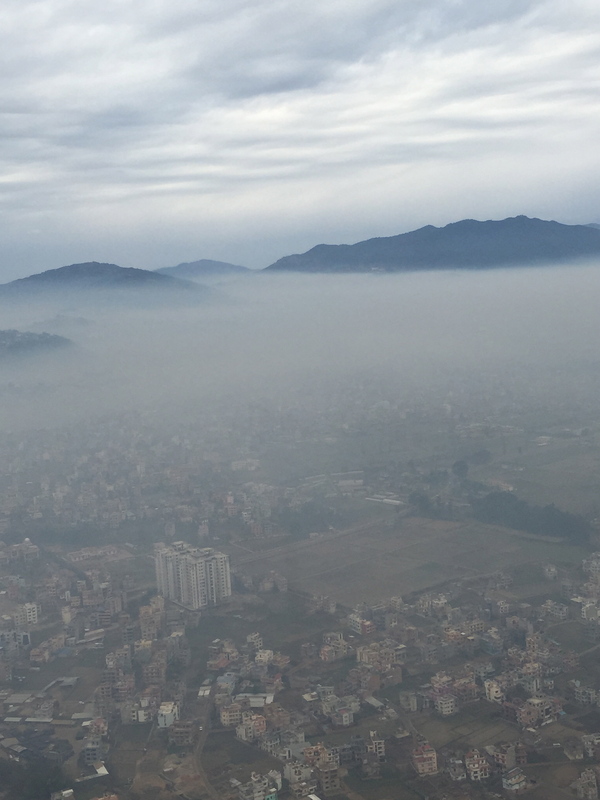 The scientific name for the pollution that we breathe in Kathmandu is black carbon particulate matter, derived mostly from burning fossil fuels and suspended road dust. It’s the black grit that I wipe off my patio chairs twice a day and blow out of my nose. It’s the thick grey yellow haze that swallows up downtown Kathmandu during the driest winter months. It’s the black cloud-belching dilapidated trucks, the towering brick kilns that dot the valley spewing out their thick white spirals into the sky. It’s the black plume that wafts out of the humming metal-caged streetside generators. It’s the road dust coagulating upwards in clouds around the ubiquitous road construction sites. Fly in on a winter day and admire (yes there is a level of dark depressing awe) how the plane slices through a flat layer of continuous thick greyness just before it lands. A mere 15 years ago, Kathmandu had clean air. Two factors transformed a valley that tourists called Shangri La. A decade-long Maoist civil war triggered a mass exodus of people from the countryside into Kathmandu, growing the valley population by more than 40 percent, to 3.5 million. Though infrastructure remains poor, rapid urbanization as well as easier availability of bank loans filled the valley with cars and motorcycles. By 2006, the demand for electricity had outstripped supply in a country that turns on its lights mostly with hydropower. Now more than ever, with winter power cuts reaching 18 hours-a-day, many businesses and households rely on diesel generators to provide power. According to the Nepal Oil Corporation (NOC), up to 40 percent of the country’s total diesel consumption is being used to generate electricity during power cuts. In 2012, NOC estimated that the country generated roughly 531 MW of electricity from diesel generators, filling a 35% power deficit. Tons of Black Carbon, one of the principle agents of global warming and the second largest warming agent after carbon dioxide, are being pumped into the valley. The Kathmandu valley is a bowl surrounded by hills that sometimes prevent pollution from dispersing. In the winter, the cold nighttime air doesn’t lift, creating a lid over the city and locking in the previous evening’s black carbon particulate matter. There is a reprieve during the summer months, when monsoon rains knock the black carbon down and improve daily air quality. Measuring air quality is no longer done by the government. Kathmandu used to have six stations monitoring air quality but the last one fell into disrepair in 2006. It is now done on a case-by-case basis by Kathmandu-based ICIMOD ( International Center for Integrated Mountain Development). Nevertheless, the 2012 Environment Performance Index (EPI) ranking listed Nepal 130 out of 132 countries in terms of air pollution impact on human health and environment. I knew these facts before I moved here but I looked at them differently when I began to live them. It’s the part of me that thinks I can be in control. I live on a ridge as far south of the Ring Road as commutably feasible. It helps me to know that the wind that blows across my place flows across the rural hills to the southwest and then across the city to the north. 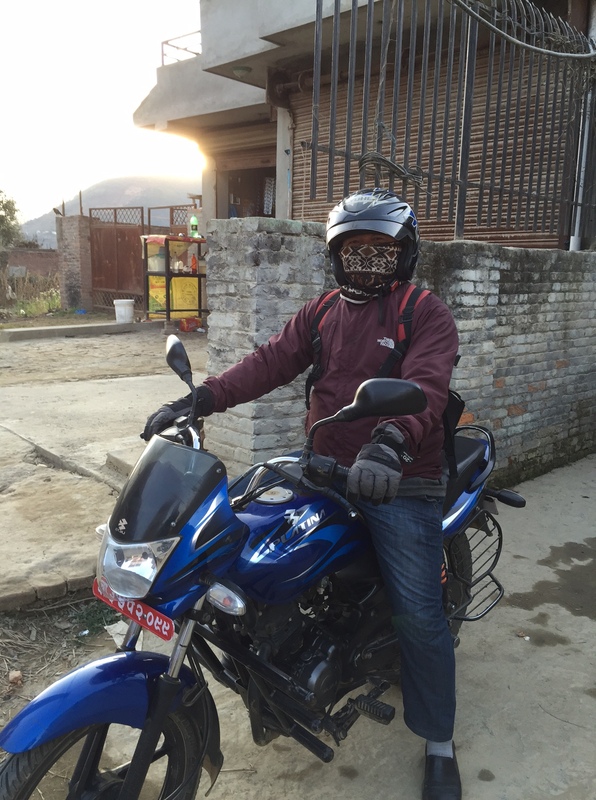 Most Nepalis don’t wear masks here. As a meager contribution to better air quality, I never use my own generator but have outfitted the house with enough solar power to power a fridge, the TV, wifi as well as a reasonable number of lights and outlets. But my ability to afford this alternative energy puts me in a minority. I have noticed subtle health markers. My colds come in the winter’s driest months of February and March and last weeks, not days, followed by chronic coughs. Nepal has no reliable hospital statistics on the increase of COPD(chronic obstructive pulmonary disease) or other lung illnesses. Bidya Banmali Pradhan, an associate coordinator for the Atmosphere Initiative at ICIMOD, has been tracking pollution patterns in Kathmandu for over a decade. ICIMOD is presently working with the government to set up a new monitoring station and is studying pollution’s socio-economic effect. There is no doubt that pollution will increasingly hurt tourism. 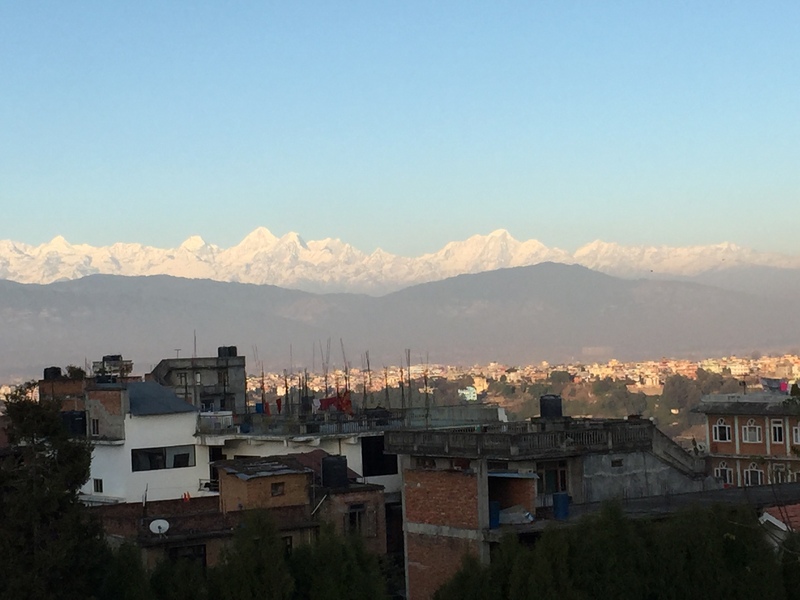 Already, the big attraction of snow-capped mountains surrounding Kathmandu are only visible after a rare winter rain or a Maoist strike that bans all motor vehicles for the day..
Nepal’s climate, like much of its politics, is hostage to its huge southern neighbor. While the Kathmandu Valley has 120 brick kilns, the bordering Indian state of Bihar has about 30,000, says Pradhan. The winds carry black carbon into Nepal’s Terai and beyond, building the large Atmospheric Brown Cloud that moves from India into Tibet and beyond, the black particles slowly melting the Himalayan glaciers. The Terai, once a tropical winter refuge for Kathmandu residents, has been unexplainably blanketed in frigid fog for several years. This year, ICIMOD is convening a regional meeting of scientists to study this phenomenon. Fog also seems to carpet northern India and Bangladesh for much of the winter. 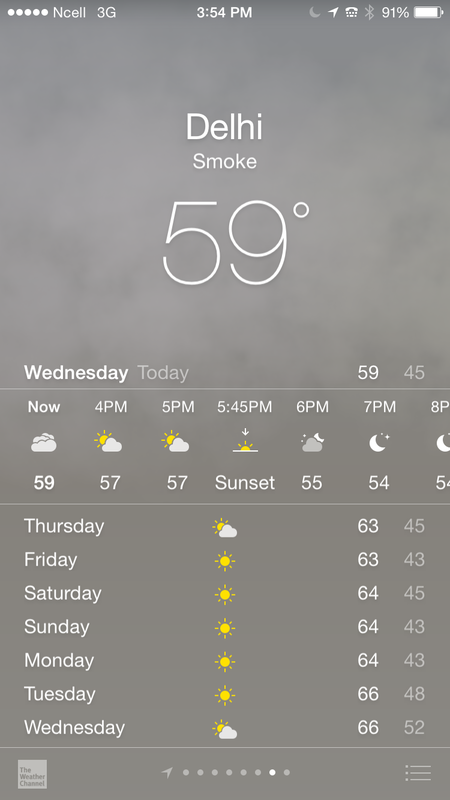 My iPhone reads it as “Smoke” for Delhi. Fog+Smog=Smoke, explains Pradhan. I find the winter air quality in Delhi more disturbing than what I breathe in Kathmandu. I measure taste and feel. In a recent week there, I rarely saw the sun. A pea-soup fog sat on top of the city like a metal pot cover. The air was cold, clammy, immobile, dense. Lucas, my nine-year-old, thought holding his breath might work during our Tuk-tuk rides. Flights were delayed for hours due to lack of visibility. As I reflect on these experiences, I realize that I have a front-row seat on a major climactic change. The National Academy of Science has done the first long term study of climactic change and pollution impact on Indian agriculture says there is a significant loss in rice and wheat crops due to black carbon. In Kathmandu, I see it, I feel it, I smell it. And I too do not wear a mask. 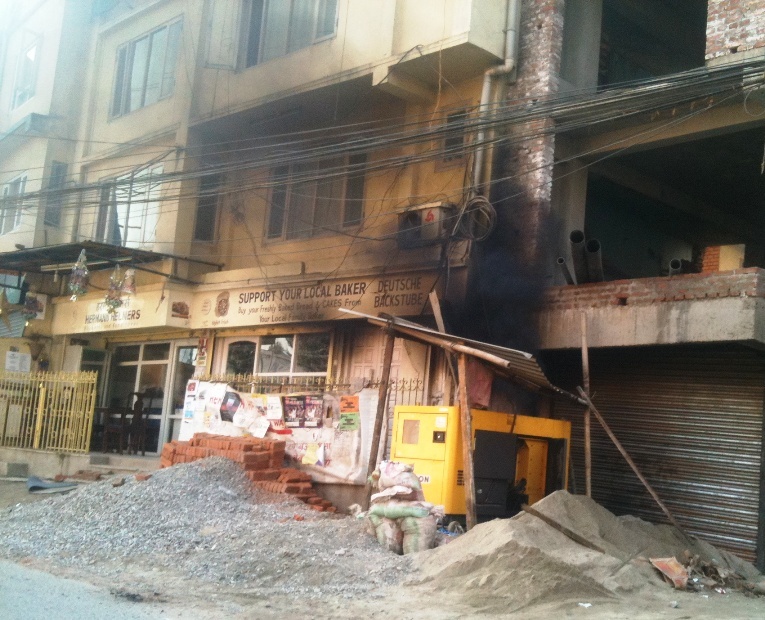 This entry was posted in air quality, India, Nepal, pollution, south asia and tagged air quality, Kathmandu, Kathmandu Valley, Nepal, pollution, traffic on January 20, 2015 by Donatella Lorch.